Respectability comes to Uber In Australia. Apparently? 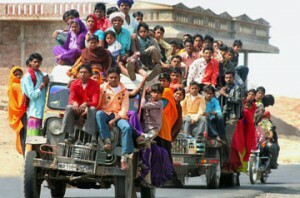 Uber has put the cat amongst the pigeons when it comes to offering a transport service alternative to taxis. Originally founded in 2009, in San Francisco where its headquarters remain, the company quickly spread its wings worldwide.It also quickly garnered a reputation fo being more cost efficient, better on arriving on time and providing a range of vehicles to suit particulars desires. But it also seemed to hover on the fringe of legality, with no seemingly apparent regulations or rules. 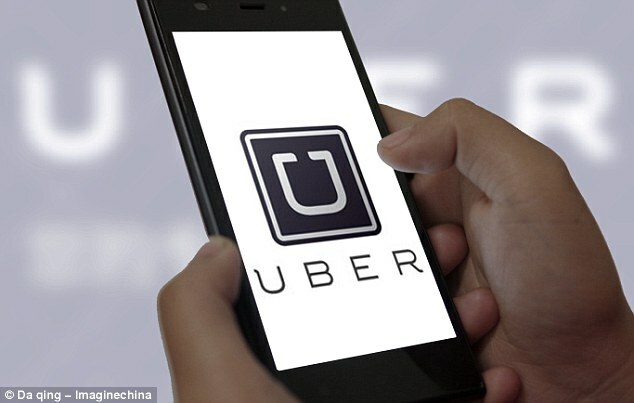 In November 2015, the state government of New South Wales appeared to have decided to change that, following a decision by the Australian Capital Territory in October to regulate the ride sharing service. Part of the issues raised by those against the service was a lack of checks on drivers and the vehicles involved. Insurance, as a result, was also under the spotlight. 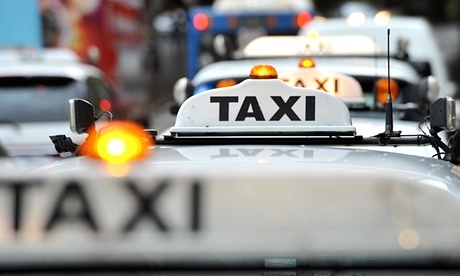 In NSW,proposed changes involve a licensing fee being brought in, whilst the taxi industry will be compensated forlosing their virtual monopoly. There’s an agreement that no Uber vehicle will stop streetside, unlike a taxi, nor will they be allowed to gather at designated taxi ranks. The reforms will also lead to tighter control of who can become an Uber driver with those with criminal records banned from obtaining a licence. 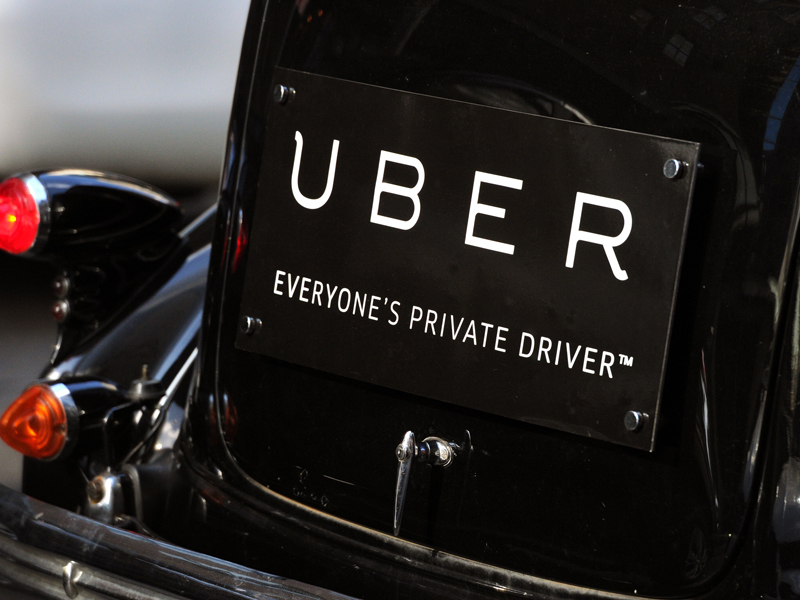 Uber vehicles will also be required to undergo regular safety inspections. This comes after a crackdown on the service in late September of 2015, as 40 drivers had their vehicle registrations suspended by the Roads and Maritime Services. If a suspended vehicle is found on the road after 1 October, the vehicle is deemed unregistered and uninsured, with penalties of $637 for each offence, increasing to about $2,200 if heard in court, an RMS spokesman said at the time. As this is a story in progress, this article will be updated when further information comes to hand. Mum and Dad named me Skoda! One of the life events that sends people on a hunt for an MPV or some other large family-sized car is the addition of a new person to the family. I think I may have covered the things that need to be considered when choosing a family car in another post a year or more ago. But what about the new person in question? You’re going to have to pick a name for your new child, so if you’re into cars at all, why not look to the motoring world for inspiration? An awful lot of cars are named after people (or at least their surnames), so why not name a baby after a car? However, you should have some consideration for the kid in question and follow all the usual rules such as thinking about how the name would look or sound in the grown up world – painted on the side of a commercial vehicle with “Contracting Ltd” after it, inserted into “Your captain on today’s flight is xxxx” or “Dr XXXXX will carry out your knee replacement surgery.” So combining anything automotive with the surname Carr is probably out (except possibly as a second name – if you have to!) or anything really outlandish (at least for Australian culture) like “Toyota” or “Mitsubishi”. Royce as in Rolls-Royce (probably boys but you could possibly get away with calling a girl Royce). You don’t have to stick to marque names. Model names are a much richer source of inspiration as well as making life a bit easier on your child. You may love Renault cars but don’t want to saddle your daughter with the name “Renault”, but Clio and Megane are just fine. If you’re a Saab fan, then Griffin would work for a boy (so would Viggen if you look a bit Scandinavian). And what about Lizzie as in Tin Lizzie as in the classic Model T Ford? Sierra, Ranger, Cressida, Cherokee, Cooper and Octavia, Laurel and Astra won’t raise too many eyebrows. These days, you can probably get away with Wrangler, Cayenne, Jetta, Odyssey, Leaf, Genesis and Journey as well… but only just. Car parts such as Axel might be OK, but avoid Dipstick. Turning to the two-wheeled world, there are plenty of Harleys out there. Of course, if you originate from Japan or Korea, you are better placed than I am to comment on the wisdom of calling your child Suzuki, Ssangyong, Nissan, Subaru or Mitsubishi. You can probably get away with it and claim that it’s traditional. What other car-related children’s names have people come across, considered for their children or even been given? Share your best finds here? Huracán LP 580-2 Unveiled By Lamborghini Automobili. Lamborghini Automobili has unveiled the new, two wheel drive, facelifted and reengineered Huracán LP 580-2. It;s been specifically designed and engineered for rear wheel drive, providing a new look packaged with sporty driving dynamics. Stephan Winkelmann, President and CEO of Automobili Lamborghini, says: “The Lamborghini Huracán LP 580-2 continues the Lamborghini tradition of pure, visionary and technology-driven models.” It’s powered by a 5.2L V10 engine, with 426 kW (580 hp and achieving just 2.4 kilos per horsepower) available,seeing the ton in 3.4 seconds whilst on the way to a top speed of 320 kmh. Weight has been reduced to a svelte 1389 kilograms, making it 33 kilos lighter than the all wheel drive version. Peak torque is 540 Nm, with an astonishing 75% of that available at just 1000 rpm. Huracán being Huracán, there’s engine cylinder deactivation, helping the V10 achieve fuel economy of under 12L per 100 kilometres on a combined cycle. With the lesser weight force on the nose, a new power management system, stiffer suspension, new steering set up and recalibrated traction & stability systems reconnect the driver to the car and the road even more. Being rear wheeled biased, the sports modes of STRADA, SPORTS and CORSA are tuned to provide an oversteering characteristic, reinvigorating the brand’s history in rear wheel drive behaviour. Design wise, the front and rear of the 580-2 define the car: it’s fresh, young, and gives the Huracán a distinctively assertive look. Newly formed air intakes at the front direct both headwind and cooling air in an effort to increase downforce on the front end whilst the spoiler lip at the rear combines with the underbody diffuser to improve rear airflow, with the Huracán LP 580-2 not needing a movable spoiler as a result. Although the new Kari rims are the same size in diameter at 19 inches, in true Lamborghini fashion there wider at the rear than at the front and are shod in Pirelli P Zero tyres developed specifically for the LP 580-2. A redeveloped spring setup and anti-roll bars on the double wishbone suspension give an incredible 50% higher torsional stiffness than the Gallardo LP 550-2. The seven speed dual clutch system, Lamborghini Doppia Frizione or LDF, is tailored to provide the fastest possible gear changes and includes launch control, whilst the optional Lamborghini Dynamic Steering (LDS) gives the driver the feeling of improved agility and control. The Huracán includes the Lamborghini Piattaforma Inerziale (LPI) centre of gravity sensor system, providing info in real time to the optional Magneto Rheological Suspension and steering & stability control systems. Computers provide the soul of the Huracán LP580-2; known as ANIMA or Adaptive Network Intelligent Management, it offers up the three driving modes mentioned previously. STRADA is for daily use and with a touch of understeer, SPORT which is intended to forge the emotional connectional between car and driver by allowing some oversteer and CORSA, the track mode with neutral balance. A new owner can involve Ad Personam, Lamborghini’s personal tailoring service, and can choose from an amazing range of options and colours, inside and out. There’s also the latest Lamborghini Infotainment System II, with a 12.3” high resolution TFT instrument panel. Prices for Australia are yet to be confirmed but if you’re in Europe, it’ll start at 150,000 euros plus tax. 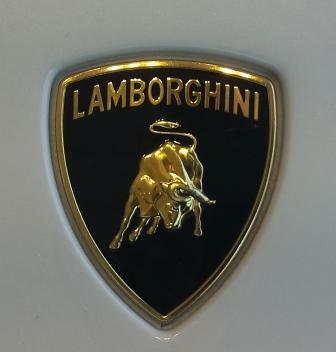 Founded in 1963, Automobili Lamborghini is headquartered in Sant’Agata Bolognese, in North-eastern Italy. The Lamborghini Huracán LP 610-4, which made its world debut at Geneva Motor Show in 2014 and the Spyder version presented at the 2015 Frankfurt Motor Show, are the successors to the iconic Gallardo and with their innovative technology and superior performance have redefined the luxury super sports cars driving experience. The Lamborghini Aventador LP 700-4 in coupé and Roadster versions, and the Aventador LP 750-4 Superveloce and Superveloce Roadster, stand as a point of reference in the world of V12 luxury super sports cars. With 135 dealerships throughout the world, Automobili Lamborghini in over half a century has created an uninterrupted series of dream cars, including the 350 GT, Miura, Espada, Countach, Diablo, Murciélago, and limited series including Reventón, Sesto Elemento and Aventador J. The Veneno Coupé, Egoista and Veneno Roadster were designed to celebrate the company’s 50th anniversary in 2013. Private Fleet Car Review: 2016 Toyota Fortuner Cascade and HiLux 4×4 cab chassis diesel. Toyota has one of the more enviable heritages in the automotive field when it comes to four wheel drives. The Land Cruiser started it all, then Toyota gave birth to a whole new category with the release of the RAV4. In the background, the HiLux has been quietly beavering away and now Toyota adds a sibling vehicle to that and the Prado, with the passenger oriented Fortuner. A Wheel Thing back to backs the new HiLux work ute and the top of the tree Fortuner Cascade. The Fortuner is, ostensibly, based on the HiLux and is intended to be the SUV version of that vehicle, offering a diesel alternative to the petrol only Kluger. There’s more than a hint of Prado in the Fortuner in certain angles, allowing the Fortuner to slot in between Prado and Kluger. Size wise you’re looking at 4795mm x 1855mm x 1835mm and rides on a 2745 mm wheelbase. Approach angle on the Fortuner is 30 degrees and departure is 25 degrees. The new Hilux is a different kettle of fish; the test vehicle supplied was the four door crew cab, complete with Toyota optioned alloy tray, snorkel and bull bar with LEDs. Power, or more correctly, torque, is delivered by a new 2.8L diesel, with an admirable 420 torques at an astoundingly low 1400 revs. The auto gets 450….There’s also an 80L tank for the 1930kg beastie, which stands at 5330 mm x 1855 mm x 1815 mm in standard trim and rolls on a huge 3085 mm wheelbase. Towing is 2800kg, braked. Inside the cabin are two buttons marked Eco and Power. Pressing the power button provides an astonishing measure of extra boost, allowing the Hilux to garner extra speed without so much as an extra millimetre of pedal travel. The Fortuner has the same engine package but didn’t appear to have the same extra “turbo on turbo” response. Economy was average at 10.4L litres of diesel consumed per 100 kilometres. Toyota quotes, for the manual HiLux, 8.1L/9.3L/7.4L per hundred on the combined/urban/highway cycles. Emissions are quoted as 212g/km. The Fortuner has an 80L tank and has economy as quoted of 7.8L/9.3L/6.9Lper 100 km. Towing? Fortuner offers Sir 3000 kgs (braked) thank you kindly, from the 2135 kg seven seater. Transmissions were six speeds; manual for the Hilux, auto and paddle shift for the Fortuner. The manual was problematic, getting stuck in the gate a little too often for comfort, whilst the auto in the Fortuner Cascade had issues also, with no advantage being offered by using manual mode, and flaring, a sense of slippage, in off boost driving, particularly when turning. The clutch in the Hilux was balanced nicely, not requiring a muscle man’s left leg nor was it feather light; it worked well with the gear shift in regards to the pickup point, there’s no rubberiness but the gate just seemed to lock the lever sometimes rather than slot it through. Ride quality is as expected of off road capable vehicles, complete with tyre squeal on tarmac for the more industrial oriented HiLux. They’re both tightly sprung, with the Fortuner offering up a touch more initial compliance befitting its luxury intentions. Steering in both is somewhat vague, with the HiLux seemingly needing a half turn more than the Fortuner before any sense of directional change got under way. Exterior design wise, the cab chassis has the new HiLux face, albeit somewhat blocked by the factory optioned bullbar fitted. Fortuner is not a design A Wheel Thing can say is pretty although there is hints of muscle to the flanks. The rear window line is unusual in the downward slope and the kickline underneath, meeting at the rear door. The powered tailgate integrates the rear lights into both the chromed nameplate and into the rear guards, with a laser like LED lighting at night. The front is a touch heavy handed in the lines, although there are splashes of chrome to lighten it visually and there’s more than a hint of Prado in the guards. Both cars have LED driving lights, with the HiLux’s as an eyebrow whilst the Fortuner’s are aligned in the inner section of the assembly. The pair came with sideboards underneath the doors, with the Hilux snorkel, as mentioned, a factory option. The interior of the pair also, unsurprisingly, have crossover; in particular the dash design echoes that of the 86 and Corolla range. There’s a raised, almost arch like, section for the centre airvents (bracketing a LED clock), and both have a touchscreen with the Hilux’s looking almost as if it was fitted as an afterthought. At least the Fortuner’s looked integrated, as did the surprisingly harmonious shade of chocolate leather fitted to the seats. A letdown was the plain look of the Fortuner’s dash dials, detracting from the otherwise luxury feel of the cabin, including the DAB equipped audio system. The Hilux had manual seat adjustment for the front seats with all seats comfortably padded and cloth clad, Fortuner’s were electric, with the centre row (that’s right, it’s also a seven seater) slide and tilt whilst the rear two pews….they’re mounted in the rear with side pivots and with plastic hooks which very easily come loose when taking the Fortuner over some bumps, allowing a seat to bounce and flap around with a boom. But, there are rear air vents to sooth the furrowed brow of said rear seat passengers. The Hilux stays with tried and tested dials for the aircon, dials that wouldn’t look out of place in car twenty years ago with Fortuner’s Cascade getting more modern looking dials and LED lit temperature screen. There’s also a leather clad cover for the passenger side mounted chill box and a nicely finished surround for the transmission selector. Bluetooth is fitted to both cars, and both have auxiliary inputs plus 12V sockets. Fortuner’s steering column is adjustable for reach and tilt,as is the HiLux. There’s also, very unusually, a 240V compatible socket mounted low down in the console and facing the rear seats. Smartly, Toyota have fitted both cars with easy to clean rubber mats. I say smartly, because both are fully fledged off roaders, with locking rear diff and a transfer case. They’ll flick from 2WD to 4WD in high range on the fly at speeds up to about 80 kmh but you need to be stopped and in Neutral to engage low range. The Fortuner also came fitted with a hill descent assist mode, which can be heard whirring and quietly clunking away underneath. The Fortuner rolled on 265/60/18 Bridgestone Duellers, the ute with same size and branded rubber, with the tread being the Grand Trek tyre. The Fortuner was taken to A Wheel Thing’s “secret test track” in the back parts of a lower Blue Mountains suburb, that has a good mix of gravel, stony road surfaces, mud and sand plus a number of slopes and conditions that the average driver would baulk at. Let’s just say that for the average off road capable driver, the car will be more than able to deal with what the driver can do. For both, don’t expect them to be quick off the line, as it’s more the mid range that the Power button really works in giving that extra grunt. Toyota offers the Fortuner and HiLux a 3 year/100,000 k warranty and a five year anti corrosion warranty as well. Safety comes well packed, with pretensioning seatbelts, traction control, hill descent and airbags all around. There’s no doubt at all of Toyota’s 4WD heritage being passed on and down through the Hilux range, however the addition of the Fortuner adds an extra and possibly untapped option to their range. The Kluger is HIGHLY unlikely to be taken off road, as is Prado, even though it’s capable. The FJ40 is petrol only and isn’t quite the passenger car in intent whereas Kluger and Prado are, hence where Fortuner fits in. The HiLux range is vast, with petrol and diesel, two wheel and four wheel drive, single, Xtra, dualcab, tray backed, ute backed, cab chassised….the version supplied is a great example of how HiLux has continued to evolve and the version supplied certainly does the nameplate no disfavour. For specs on the HiLux tested (and to take you through to the range) go here: 2016 HiLux 4×4 dual cab chassis range. Along with flying cars, amphibious vehicles would have to make the list of highly desirable vehicles from sci-fi movies, books and graphic novels. We are still waiting for the flying car but progress has been made in the amphibious vehicle department. In fact, a lot of progress towards amphibious vehicles was made back in the World War 2 and Cold War era, with the two most successful being the Schwimmwagen and the Amphicar, being produced during WW2 and in the early 1960s respectively. Both were made in Germany. 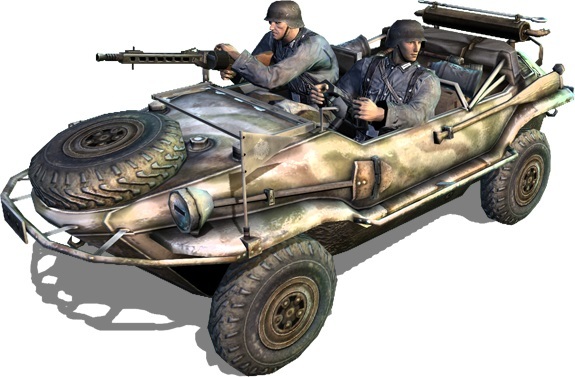 The Schwimmwagen was based on a Volkwagen (in fact, the Volkswagen and Porsche factories were responsible for making them). As they were made for the army, they still hold the record for being the most widely produced amphibious car, with around 14,000 originally turned out. However, less than 200 remain today, although the few that are in existence are highly prized collectors’ items that only occasionally risk going onto the water. What happened to the rest of them is uncertain. Possibly some of them sank. Or they may have been bombed to smithereens. On land, the Schwimmwagen was a very rough and ready 4×4 with a four-speed manual gearbox and a 25-hp 4-cylinder 1.1-L engine. Four-wheel-drive was only available in reverse and in first gear. When the Schwimmwagen trundled down into the water, the driver lowered the three-blade propeller at the back, which engaged with the driveshaft and got the vehicle moving through the water. Ground clearance was a pretty decent 11 inches and it seated about three people. Creature comforts were next to nothing, this being a military vehicle, although it did have run-flat tyres and a spare wheel mounted on the front bonnet – or should you call it the bow? An American intelligence report described it as looking like “a small civilian sports car”, which suggests that 1940s sports cars must have been rather rough and ready. 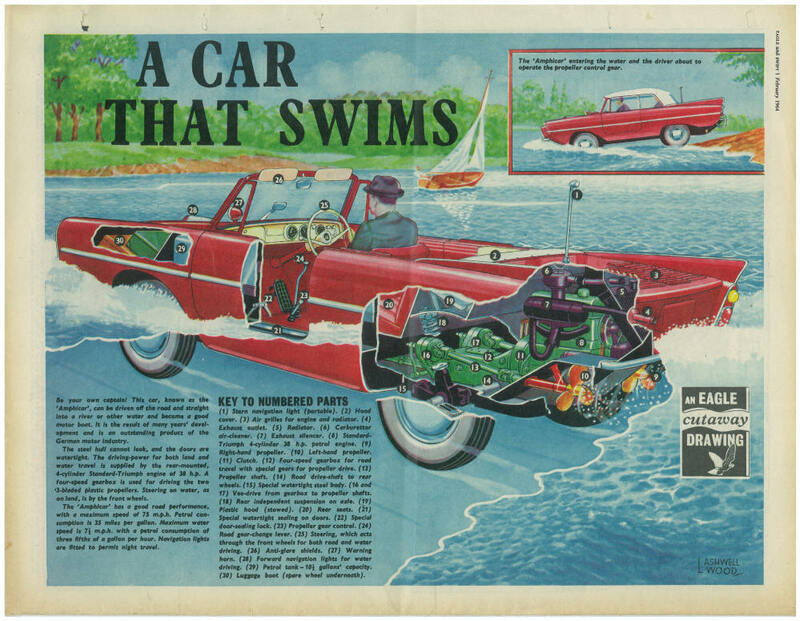 The Amphicar was a peacetime vehicle and it was intended for mass production. Sadly, only 4000 were produced; again, these are now highly prized collectors’ items. The Amphicar was a two-door cabriolet with a Triumph Herald engine under the bonnet/bow. This engine was a 1.2-L 32-kW affair that was harnessed to a 4-speed manual transmission. The Amphicar was capable of getting up to a respectable 70 mph on the land and 7 knots on the water, which caused the designers to call it the Model 770. It wasn’t a speedster but, as one owner described it, it was still “the fastest boat on the road”. You can’t have everything, after all. In spite of one review saying that it was a vehicle that “revolutionized drowning”, it was reasonably good on the water, and has been able to cross the English Channel and cross the Yukon River. Well maintained Amphicars are still taken for little jaunts across water quite safely (or at least as safely as any other boat) by enthusiast clubs. The most famous owner of the Amphicar by far was former US President Lyndon B. Johnson. When not dealing with hassles to do with the Vietnam War, the Civil Rights movement and trying to beat the Soviets in the space race, LBJ liked to drive his Amphicar downhill into a lake in front of unsuspecting people while yelling that his brakes had failed for the fun of watching his victims panic. Other amphibious vehicles, past and present can be found on the road, in car museums and occasionally on the water, such as the American military DUKW (inevitably called the Duck) and the more recent Gibbs amphibious vehicles (Aquada, Quadski and Humdinga/Amphitruck). They certainly look like a lot of fun, although they’re not in the same league as James Bond’s aquatic Lotus Esprit. Nevertheless, I think that you and I will probably be tying the kayak onto the roof rails or hitching up the boat trailer for some time to come. Hybrid technology has come along in leaps and bounds in recent years, but more so in the integration of the electronics. Battery technology, except in the case, seemingly, of the product from Tesla, has pretty much stalled. For the time being, mainstream makers are using a petrol and battery powered engine combination and A Wheel Thing took to the roads in the new A3 e-tron from Audi. There’s nothing really obvious that has the e-tron version stand out more than the standard, nicely rounded, A3, until you get up close. There’s the lower case e-tron badge and,more subtly, the plastic lock hidden in the four ringed badge in the grille. Twist that and, with a gentle nudge sometimes, it reveals the charging point for the battery pack. There’s 75 kW on offer and a fantastic 330 Nm of torque. That’s hooked up to “the generator”, a 1.4L TSFI petrol engine, with 110 kilowatts (5000 to 6000 rpm) and 250 torques between 1600 and 3500 revs. That’s enough combined moombah to see the e-tron do the ton in a lick over seven and a half seconds, while consuming just 1.6L of unleaded go-go juice per 100 klicks. That’s using a six speed auto, a smooth changing unit with the now almost mandatory paddle shifts. Left to itself, the gearbox slurs through nicely and with the manualshift in operation is noticeably, but not by a huge amount, crisper. Steering is rapid, direct, with enough weight and heft to involve you in the decision making, unlike the over assisted Q3. Ride quality is soft, in a luxurious way, but there’s some hard absorption of smaller bumps straight up. A measure of body roll is also noticeable in the 1615 kg e-tron, but, again, by not a huge amount. Rubber and wheels were Pirelli P7s, at 225/45 on 17 inch alloys. Body style is the five door hatch, with the familiar LED style tail lights and a high tech looking front. What is truly noticeable is the silence of the e-tron in purely electric drive, boorish road noise not withstanding. Because electric vehicles are still so rare, it’s natural to expect something that says the car is ready to go. Slip in, strap in, press Start and……nothing. The dash has lit up, the excellent sounding digital radio is on and…nothing. Select Drive or Reverse and the e-tron silently gets underway. Plant the welly and there’s that never ending wave of go go go go go as you watch the charge display change in response (Audi quotes zero to sixty in under five seconds and a top speed in electric mode of 130 kmh). Although it’s not lightning quick (see what I did there?) it’s more than quick enough and did manage to chirp the tyres a couple of times. Range from full? Umm…next question. There’s four different drive modes, including using the petrol engine to help keep the battery level where it is or, more importantly, top the charge up and that is an important part of where this car survives or fails. The e-tron come with a front mounted port, located behind a swing out badge, as mentioned and has a 10 amp compatible charging cable and control unit in the boot. Charging time at home is around five hours or, using an industrial 3 phase, half that. The car itself has a charging program in the computer; once plugged in and turned on, a green light will flash to indicate charging is underway and glows steady when done. There’s a kinetic energy recovery system as well, pulling charge into the batteries under brakes. A Wheel Thing managed a best of under 40 kilometres from full charge. The traditional dash display is there, bar a swap of the tacho for the aforementioned charge dial, which also gives you an indication of engine efficiency. It brackets a monochrome info screen with the speedo with the rest of the dash housing funky airvents, the larger jog dial linked and operated screen and the brightly coloured aircon controls. Audio wise, there’s DAB+ on top of the AM/FM/Auxiliary choices. The test car came fitted with some options: there’s the Assistance Package, at $1990, featuring adaptive cruise control (with the sensor clearly visible in the front bumper and subject to being covered in dirt), pre-sense including autonomous emergency braking, active lane and side assist and high beam assist. Safety wise, there’s the full array of airbags including driver’s knee, stabilisation control electronics, rear parking camera as standard and the steering column is adjustable for tilt and reach. The metallic Monsoon grey paint was a $1050 option and the Comfort Package (electric and heated front seats, LED interior lighting, electric mirrors, dimming rear vision mirror and driver’s mirror) was $1990. The clear sounding B&O audio was a somewhat eye watering $1750 option, with the car testing out at $69270 plus ORC’s. Audi’s servicing now offers a Genuine Care plan, covering your Audi for three years or 45000 kilometres, whichever comes first, which works by prepaying for your services (15000 k’s or twelve months) in the first year of buying your new Audi, plus you’ll get 24/365 roadside assist and the Audi magazine. The warranty is three years and unlimited kilometres, offering plenty of piece of mind. Until fuel cell cars and a network of high rate of charge power stations for cars are more commonplace, hybrids such as the e-tron will be the stop gap in regards to decreasing fuel consumption. Audi’s level of computer integration which allows the driver just that much more flexibility of how the petrol engine synchronises with the battery system is a winner, the relative lack of battery range isn’t. Lamborghini Automobili Adds More Value To The Huracán. Lamborghini has released a number of updates to the Huracán LP 610-4, yet has kept the price of Au$428,000 plus onroads. The car is now available for order with the updates for delivery in 2016. What’s New: the naturally aspirated V10 is now available with cylinder deactivation, the first time this been provided for the engine. In normal driving, when not all cylinders are required, one cylinder bank is deactivated until the computer registers a change in throttle and then changes back to full cylinder mode instantly. As a result, fuel consumption is decreased, as are emissions, to 283 grams per kilometre. Cruise Control is also now available as an option. The acclaimed four wheeldrive system has been fettled, to provide an improved handling sensation whilst inside the Huracán, choices for interior trim have been improved, along with the addition of leather as standard to the upper console and door handles. Air vents are now an exclusive and classy matt black. A travel pack is now able to be sourced, featuring additional storage nets and cupholders and an additional 12V socket. Lamborghini’s in-house personalisation package, Ad Personam, has added extra interior personalisation and exterior options, with owners able to tailor their car with matt paints and heritage colours. Not that you need a sound system, with that sonorous V10 soundtrack behind the driver’s left ear, Lamborghini now offer their 390W Sensonum audio package, with ten speakers fitted inside hexagonal shaped mounts powered by a ten channel amplifier. For engine sound, there’s now available in all markets world wide, the optional sports exhaust system, complete with gloss black tail pipes. Finally, LED lighting for the engine bay is available, with the optional transparent engine bay cover and carbon fibre engine compartment. Founded in 1963, Automobili Lamborghini is headquartered in Sant’Agata Bolognese, in North-eastern Italy. The Lamborghini Huracán LP 610-4, which made its world debut at the Geneva Motor Show in 2014, is the successor to the iconic Gallardo and, with its innovative technology and exceptional performance, it redefines the driving experience of luxury super sports cars. The Coupé and Roadster versions of the Aventador LP 700-4 and the Aventador LP 750-4 Superveloce are the new benchmark in the world of luxury super sports cars with the V12 engine. With 135 dealerships throughout the world, Automobili Lamborghini, in half a century, has created a continuous series of dream cars, including the 350 GT, Miura, Espada, Countach, Diablo, Murciélago, and limited series including Reventón, Sesto Elemento and Aventador J. The Veneno Coupé, Egoista and Veneno Roadster were produced to celebrate the 50th birthday of the company in 2013. A Wheel Thing has completed a French trifecta, with Renault now on board and supplying a Clio R.S. Cup. There was a week with the hot hatch, complete with dual clutch gearbox, licorice thin rubber and spine bending performance, coupled with a metallic soundtrack. Compact is an apt word for the Clio, with just 4090 millimetres between the front and rear, 1448 mm from top to bottom and a not indecent 1732 mm side to side. Don’t go hunting for big speedbumps however, as ground clearance is a measly 118 mm…you can go hunting for other hatches though, with a rorty 1.6L turbo four up front, passing through 147 kW (6000 revs) and a very handy 240 torques at a very handy 1750 rpm through to the front wheels via a six speed dual clutch auto. It’ll drain the 45 litre tank at a reasonable clip when pushed hard, with official figures quoted at 6.3L of Premium 98 per 100 kilometres on the combined cycle, with highway and urban ranging from 5.1 to 8.1. A Wheel Thing managed to get to just on 600 kilometres before a top up, with a high proportion of highway driving. Weighing just 1217 kilograms helps. That engine is hooked up to a six speed dual clutch auto and this suffers from the same “too much between connected and not” between gears when at low speeds, such as moving from a driveway. There is a Sports Mode, not unsurprisingly, activated via a push button, located in the storage locker free centre console nestled between the front seats. Hitting that whilst under way has the same effect as being shoved, hard, between the shoulder blades, when the command to go is given. Launch Control is also included. Gear shifts sharpen up, the horizon turns into a picture of a starfield as you hit warp one, there’s the “phut, phut, phut” from the exhaust and the metallised screech from up front. The steering is razor sharp anyway, buoyed by the short wheelbase, turning in so quick it feels as if it’s just a few inches in length, instead of the corner pushing 2589 mm that it really has. A rapid 2.67 turns lock to lock adds to the keeness of the handling. What wasn’t keen was the ride; the tyres were Dunlop SportMaxx and at 205/40 on stylish black painted ten spoke alloys of 18 inches in diameter (called Radicale), transmitted both noise and every ripple, lump, bump and five cent piece on the road through to the driver. Suspension give? A brick would be more amenable. There’s more than a scent of French chic about the R.S. Cup, with svelte lines, trim curves and a set of hips that would give Bardot pause. The somewhat goggle eye headlights are the only design feature that jibes with the rest, sitting atop a design feature not unlike a curved Gallic moustache, with the rear end seeing trim tail lights integrated into both the hips and the rear hatch door and there’s twin exhausts integrated into the lower valance. The interior is a mix of hard plastics, no centre console, boy racer labelled speaker grilles (is there REALLY a need to have Bass Reflex printed on them? ), red stitching on the steering wheel at the twelve o’clock, with the wheel itself virtually devoid of any buttons bar a couple for cruise control, whilst there’s no mistaking the paddle shifts due to size and alloy colour against the black background. Seats? Snug,wrap around, supportive and imbue a full sense of sports and safety. The driver sees a very basic display, with a dial for the tacho, fuel and a centre screen with speedometer. Aircon controls are unconfusing dials, set below the centre console stack airvents and touchscreen navitainment, surrounded by fingerprint grabbing gloss black plastic. To the right of the screen were the inputs for auxiliary sounds, being the 3.5 mm plug and a USB. One presumes this is for a charging cable, not an easily broken USB stick, whilst a cable would get in the way as the port is some eight or nine inches above a small tray just ahead of the gear selector. The cargo space is 300 L with the split fold seats up, growing to 1146 L when flattened out. Due to sheer size of the Clio, don’t expect to be able to slide your new 55 inch flatscreen tv in there though. The aforementioned centre console-less section does offer three spaces for cups or bottles, but lacking a storage locker also means no elbow support for driver and passenger. It’s hard edged in the ride, razor sharp in the steering, has a lovely and rorty exhaust note, a split personality when you use the Renault Sports button but lacks real comfort both in ride and interior trim. Yes, the intent is to be kicked along harder than a brand new soccer ball but a car can still be balls and all manic without necessarily resorting to a minimalist approach. With the smallish fuel tank and desire for more pricy but performance friendly 98 RON to consider, at around $34K driveaway, a buyer needs to consider just how their driving style can be enhanced or hobbled, as well. Usually, we write for drivers. However, as most of us have noticed at some point, the typical car has more than one door and more than one seat (with the exceptions of a few extreme race-inspired units such as the Abarth 695 Biposto . One of the main attractions of cars is that they can take the whole family or at least another person as well as the driver. Plenty has been written about good behaviour when driving and how to be courteous to other drivers. Not much has been said about the way passengers ought to behave. Without further ado, then, here are the golden rules that all passengers ought to obey. 1. Do not tell the driver what to do or what he or she ought to be doing. The obvious exception to this is if you are teaching someone else to drive. You are also allowed to speak up if the driver is exceeding the speed limit and making you feel frightened or if you have been asked to navigate using an old-fashioned map rather than a GPS. Otherwise, belt up in both senses of the word. 2. Inform the driver if you feel sick or need to pee in plenty of time. Please believe me when I say that we really don’t want to clean up the mess if you explode from either end. And do give the driver lots of warning so that he or she can pull over in a convenient spot where the car can be parked safely (for the driver’s benefit) and where there’s a decent large bush and/or a handy public lavatory (for your benefit). The only exception to this is if you are under the age of two. 3. Don’t kick the back of the driver’s seat. Lumbar support and lots of padding can only do so much and the driver can’t do all that much with a bony knee or toe pressing into his/her kidneys. If you are a tall lanky type and you like to ride in the rear on the driver’s side but the driver likes to have the seat well back, you may have to find a compromise. 4. Don’t touch the driver. You should even be cautious if you are the beloved of the driver and want to be in constant physical contact with him or her. Keep it to a light hand on the knee or shoulder. Anything else is off limits. If you are too young to know not to pull at Mum or Dad’s sleeve for attention when Mum/Dad is driving, you are too young to be in the front seat. 5. Wear your seatbelt. No exceptions. Do it. 6. Assist the driver by holding coffee cups if no holder is available, adjusting temperature controls and similar dials. On cold days when the inside of the windscreen is fogged or if something has smeared across the inside of the windscreen, help out by applying tissues or cloths to help clear the driver’s vision. 7. Open the gates. If there’s a closed gate that needs to be opened, it’s the front passenger’s job to open it. 8. Don’t distract the driver at crucial moments. One of several reasons why the authorities don’t like the driver texting or phoning while driving is because the person on the other end of the phone can’t see what’s going on and won’t shut up during a tricky manoeuvre. You can. Negotiating heavy traffic in a multilane roundabout is a bad moment to show the driver your finished school project, the great photo your friend just posted on Facebook or the hilarious cartoon in the newspaper. Wait for a traffic jam. 9. 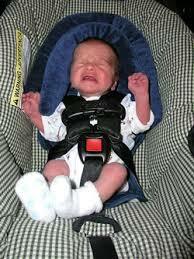 On long drives at night, be prepared to slap the driver and scream if he/she starts drowsing at the wheel. Do your bit to help the driver stay alert by providing stimulating conversation or offering to help out. 10. If you’re in the rear seat of three rows in an MPV, don’t start screaming for the driver in the middle of Sydney Harbour Bridge. And if you’re the driver, (a) don’t put a child who’s likely to scream in some inaccessible place and (b) grit your teeth and try to endure the screams until you get to a suitable place.